Whenever you think of utilizing empty space of floor, often comes in mind which one should I opt for Conservatory or House Extension. After that, you may probably think about cost too. Let me make it simple for you with some questions & answers, so that you can make better choice in accordance with your budget. What are the Pros of Conservatory and House Extension? Conservatory looks stunning and good option if you want a lighting and airy room which will open to the garden side. You can use it for different purpose like home office, dining room, play room or some extra space for relaxing. It includes very good proportion of glass. Sometimes, you can take advantage of conservatory by placing it in right place. If it is east facing then you will have sun in morning or otherwise you will catch in evening. On the other side, Home extension has numerous benefits. It keeps room warmer in winter than conservatory. It depends on you that you want one single-storey or two storey. You can make extra bedroom, kitchen or toilet. All you need is to make a correct choice. What are the price of conservatory and house extension? First of all, conservatory is cheaper than house extension yet it basically depends on the structure how big or small as well as quality. 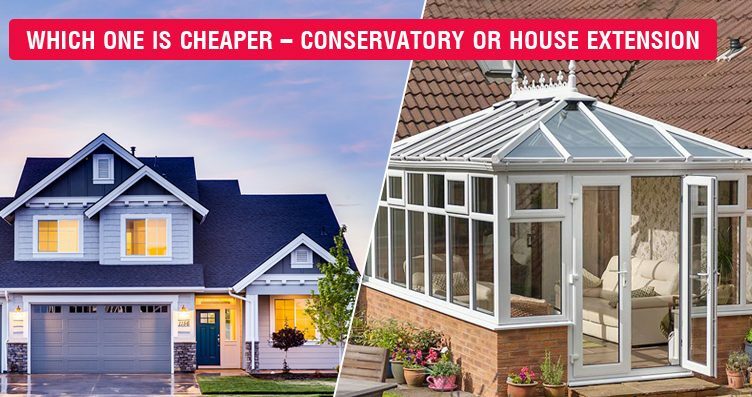 Apart from this, if you will go for installing conservatory, you can do significant saving than performing house extension. The price of house extension depend on per square meter. For conservatory, price depends on style and size what you want. Are you planning to install conservatory or small conservatory at your home? Then, you reached at right place. Home Saving Guide, trust-worthy website provides free quotes for conservatory. Our experts team is ready to help if you have any confusion. Just send query and save money on installation of conservatory.